As 2019 gets under way, IT solution providers should keep an eye on technology and business trends that are shaping the future of IT. The channel is undergoing major changes as the vast majority of businesses – 89%, according to IDG – is either implementing or planning a digital transformation strategy. Emerging technologies such as the Internet of Things (IoT), edge computing and artificial intelligence (AI) are at the center of these implementations. From my conversations with partners, I know these are the areas they’re thinking about in terms of future profitability. As customers invest in these technologies, IT solution providers need to be able to support them, which requires making investments of their own to learn about the technologies and how to sell and service them. In 2019, the IoT and edge computing will assert themselves, while next-step technologies such as AI, virtual and augmented reality (VR and AR), bots and blockchain will be knocking at the door. IT solution providers should be watching these developments and adjusting their business models to manage the necessary infrastructure and applications. The IoT has been lurking for some time, but implementations perhaps have taken longer than expected. 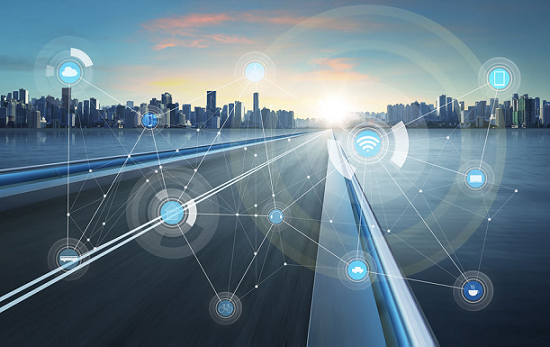 Compatibility and security issues are partly to blame, but as vendors introduce bundled IoT solutions and invest in security, IoT will quickly gain traction. By 2022, worldwide IT spending on the IoT will actually surpass the 1 trillion mark according to IDC. As the IoT expands, so will edge computing. Edge computing sites are where many of the IoT’s real-time processing and analytics will occur. For IT solution providers, this potentially creates vast opportunities to provide backup power management and remote UPS monitoring and management services at the edge. On the heels of IoT and edge, expect serious advances in AI, VR and AR. A lot of these emerging technologies will work hand in hand to disrupt business models and create competitive advantages. For instance, information captured by IoT sensors will be processed and fed into AI and machine learning engines to automate business processes. Machine learning already is used widely in cybersecurity, and AI is powering advanced robotics in manufacturing and warehousing. AI is also starting to appear in marketing functions, such as chatbots. IT solution providers can play a role in these technologies by deploying and managing the systems that deliver this functionality. With so many changes afoot, many IT solution providers need vendor support. We stand ready to help IT solution providers navigate these changes with support and offerings to bring Certainty in a Connected World that continues to evolve. Explore how we can help you achieve your business goals in 2019 and beyond by accessing our partner program, as well as our edge computing resource site. Best of luck in 2019! Great article! Really liked reading what you wrote. It is great to see experts like you talking about the increasing demand of industry focused apps!